At the 55th Munich Security Conference in mid-February 2019, dozens of heads of state and government as well as foreign and defence ministers from all over the world will come together to discuss a wide spectrum of security challenges ranging from rising tension between the great powers and the demise of crucial arms control treaties to the effects of climate change and new technologies. The post-MSC discussion at the Hertie School will reflect on the main agenda points, conclusions and critical challenges to international security raised at the Munich Security Conference. Nicholas Burns, former US Ambassador to NATO and Professor of Diplomacy and International Relations at Harvard’s Kennedy School of Government will share his main takeaways from the conference together with Daniela Schwarzer, Director of the German Council on Foreign Relations, Berlin. The event will be chaired by Ambassador Wolfgang Ischinger, Professor for Security Policy and Diplomatic Practice at the Hertie School of Governance and Chairman of the Munich Security Conference. 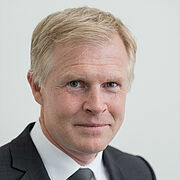 Henrik Enderlein is President and Professor of Political Economy at the Hertie School of Governance as well as Director of the Jacques Delors Institute Berlin. His research focuses on economic policy-making in Europe, in particular the euro, the EU budget, financial crises and fiscal federalism. In 2012/2013 he was the Pierre Keller Visiting Professor of Public Policy at Harvard Kennedy School and the Weatherhead Center for International Affairs. Nicholas Burns is the Roy and Barbara Goodman Family Professor of the Practice of Diplomacy and International Relations at the Harvard Kennedy School of Government. He is the founder and Faculty Chair of the Future of Diplomacy Project and Faculty Chair of the Project on Europe and the Transatlantic Relationship. Burns is Director of the Aspen Strategy Group, Senior Counselor at the Cohen Group, and serves on the Board of Directors of Entegris, Inc. He served in the United States government as a career Foreign Service Officer. 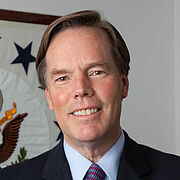 He was Under Secretary of State for Political Affairs from 2005 to 2008; the State Department’s third-ranking official. He was U.S. Ambassador to NATO (2001-2005), Ambassador to Greece (1997-2001) and State Department Spokesman (1995-1997). He worked on the National Security Council as Senior Director for Russia, Ukraine and Eurasia Affairs; Special Assistant to President Clinton; and Director for Soviet Affairs for President George H.W. Bush. Burns was a member of Secretary of State John Kerry’s Foreign Affairs Policy Board from 2014-2017. Together with fellow former U.S. Permanent Representatives to NATO Douglas Lute, Ambassador Burns recently published the report, NATO at Seventy: An Alliance in Crisis. The report was discussed during events at the Munich Security Conference, and is a publication of the Project on Europe and the Transatlantic Relationship at the Harvard Kennedy School’s Belfer Center for Science and International Affairs. 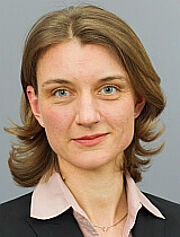 Daniela Schwarzer is Director of the German Council on Foreign Relations, Berlin. She previously was an executive team member of the German Marshall Fund of the United States, serving as GMF’s senior director of research and heading GMF’s Berlin office as well as its Europe program. Prior to this she spent eight years at the German Institute for International and Security Affairs (SWP), where she led the research group on European integration from 2008 to 2013. During this time she advised Poland and France during their respective EU Council presidencies, served as a consultant to the Centre d’Analyse Stratégique for the French prime minister, and was a member of the “Europe” working group of the Whitebook Commission on Foreign and European Policy. Before joining SWP, she worked as an opinion page editor and France correspondent for Financial Times Deutschland. Wolfgang Ischinger is Senior Professor for Security Policy and Diplomatic Practice at the Hertie School of Governance and Director of the school’s Centre for International Security Policy (CISP). He has been Chairman of the Munich Security Conference since 2008. From 2006 to 2008, he was Germany’s Ambassador to the United Kingdom, and from 2001 to 2006, he was Ambassador to the United States. 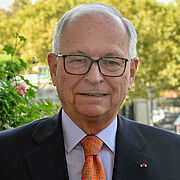 Ischinger previously held a wide range of diplomatic and policymaking positions, including State Secretary (Deputy Foreign Minister, 1998-2001). This event is hosted in cooperation with the Munich Security Conference. Registration for this event has closed, as we are at maximum capacity. We apologize for the inconvenience.